Concrete has been most commonly used construction material across the globe. It is versatile and durable. When newly mixed, it is plastic and malleable. After hardening, it becomes strong and durable. All these qualities make concrete the best option to build bridges, highways, skyscrapers, sidewalks, and dams. You can also use concrete in your home or office premises. Concrete is most durable among all the materials. You might need to spend slightly more for installing concrete. But it can save your money over time. It does not demand more maintenance. In fact, it gets stronger over time. You cannot expect this benefit from other materials. Concrete is used in driveways and patio construction. Concrete patios are durable. If you choose the best contractor, you can also get an impressive look. Concrete is durable, sustainable, strong, and versatile. It is used in bridges, building, tunnels, and any other construction that demands strength and durability. Concrete is also fire, weather, and erosion resistant. It offers excellent thermal mass. Once you install concrete, you can ensure durability for long with a little maintenance. However, you can expect all these benefits if you choose the right concrete supplier. A reliable and experienced concrete supplier can offer the best quality products and 100 % satisfaction guarantee. If you are living in Mesquite, TX and surrounding areas, you can contact Mesquite Flat Concrete service. The company has a good reputation for offering quality concrete services. They offer all types of concrete services for both residential and commercial properties. What makes Mesquite Flat Concrete Different? They have a good reputation in this industry. Their experience and dedication make them different from their competitors. They understand your requirements and offer products accordingly. They believe in quality products and timely delivery. You can contact them anytime to share your requirements and to get the best solution. In brief, you can expect the best quality products for your residential and commercial properties. Mesquite Flat Concrete understands all aspects of concrete. The service is HomeAdvisor Screened & Approved. They are very popular for Mesquite Patios. 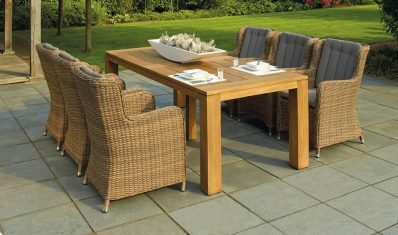 They help people to create the best and durable patios. They do not offer high-quality products only. The installation will be hassle-free and flawless. Their experienced team member will reach you at your convenient time and place to offer installation. If you have any doubt about the expenditure, you can contact them to get a free estimate. It will be obligation-free. A free estimate will help you to know all aspects of spending including material and installation. You can visit them for any type of concrete and installation including patio Installation in Mesquite, TX. In addition, you can expect a cost-effective solution. You will get the best material at the market price. They try their best to satisfy their customers with quality products, flawless installation, and friendly approach. Many of their customers recommend them for their commitment and reputation. Are you interested in Mesquite Flat Concrete? Do you want to get a free estimate for your concrete work? If yes, you can call them now at 469-804-5007.